Thank you for your interest in the Child and Family Studies Center (CFSC) at California State University, Northridge. 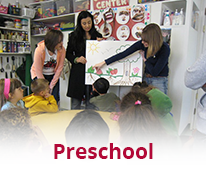 The CFSC is an educational setting for young children from the community, and their families, whose goal is to secure strong relationships between home and school. As an instructional unit and research laboratory, we strive to promote the professional growth of the university students, faculty, and staff. 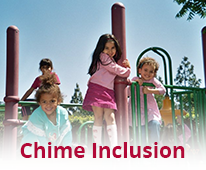 The Child and Family Studies Center (CFSC) at California State University, Northridge, is affiliated with the Department of Family & Consumer Sciences (FCS), within the College of Health and Human Development. As an instructional unit, our primary mission is to instruct and train university students to work effectively with young children and their families. We are committed to fostering the continued growth and development of the "whole child" - cognitively, socially, emotionally, physically, and creatively. 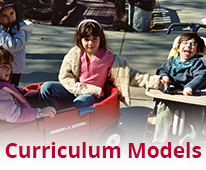 An active learning approach, based upon developmentally appropriate inclusive practice, encourages self-exploration and discovery through interactions with peers, adults, and materials in the environment. Through the formation of partnerships with families, and the provision of a safe, nurturing environment, the Child and Family Studies Center acknowledges the needs of the individual child and the values of the family.